Becky Grajeda (b. Los Angeles, CA, lives Chicago) is a sound artist, designer, and technician based in Chicago. Her works of sound assemblage, multi-channel installation and performance frequently include field recordings of the sounds of machinations and moving bodies and/or experimentations in abstracting vocal inflection, intonation, and intended meaning in speech. She has exhibited and performed her sound work in Chicago, the UK, Finland, and in the Czech Republic. 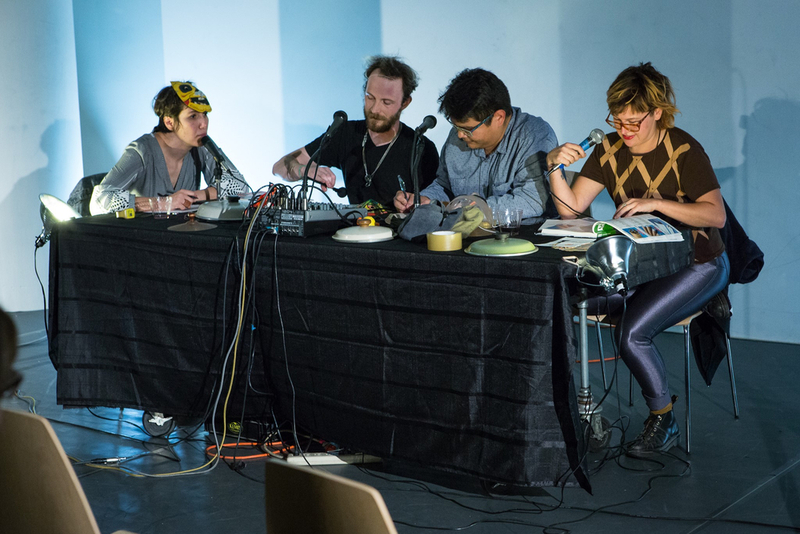 In 2014 she received a grant from the City of Chicago’s Department of Cultural Affairs and Special Events to document three of her performative sound works. She is currently a Fall 2015 Sponsored Artist at High Concept Laboratories in Chicago where is in the midst of developing and performing a series of comedic sound works called things that should not be picked up in the first place.